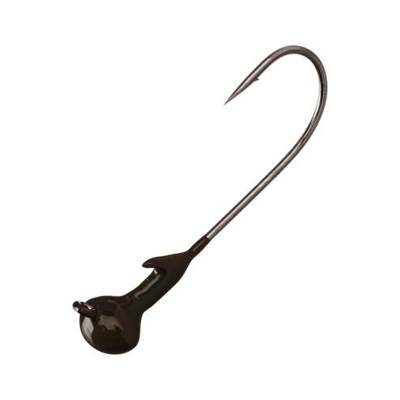 Strike King Tour Grade Football Head Jig - 1/4oz Brown. The ultimate jig for deep water fishing, as the wide football-shaped head gives better feel and helps the bait stand up on the bottom. 60 degree flat eye Gamakatsu hook to hold knots in perfect place for better hook sets. Hook eye is flush with the head to be more streamlined and efficient in heavy cover.